Strange things are happening but when you are a CRYPT agent that’s not so unusual, in fact it’s what keeps you employed. Senior agent Jud gets pulled away from movie night to go and investigate something odd is happening in the tunnels underneath the Houses of Parliament. What he doesn’t expect is to get arrested for the ghost’s actions. It soon becomes clear that someone is determined to cover up what is really going on, but why and who has that kind of power? London isn’t the only place the ghosts are stirring and Bex is sent to York to check out a couple of strange sightings. There Bex experiences a sensing event like she never has before, something whispered about by agents called hypersensing. Other agents are soon bought into the case in London while Jud is sent to York to assist Bex. THings in both locations heat up and it seems certain that an event a long time in the planning is finally coming to fruition. Can the CRYPT agents figure out what is causing such a disturbance before many more lives are lost. 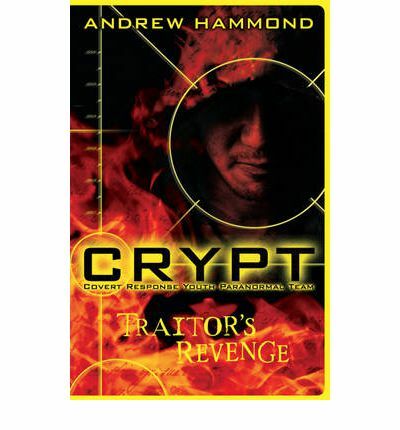 This is the second of the CRYPT series and it is just as gruesome and engaging as the first. Jud still struggles with the issues from his past, some of which are ripped to the surface in this book. He also still struggles to control his anger but he continues to be a top agent because of his ability to sense and figure out what is really going on, and he instinct to act. I like that he is a flawed hero, prone to stuffing up, it makes him more real. Bex is a tough character in her own right, she is resilient, smart and willing to step up when she needs to. The ghost story at the heart of this plot is an historical event many should at least be vaguely familiar with, though perhaps not the story behind it. I like the way Hammond has blended the modern with a good old fashioned ghost story. I also like the historical detail in this case. The resolution is something the team has to work to, they have to research and fit it all together like a proper investigation it doesn’t just all fall in their laps and there are costs to the agents along the way. The result of this is an entertaining if gruesome story that doesn’t insult it’s readers by thinking they need the characters to be immune to all the stuff they deal with. I think this is a solid series and well worth a look if you like things on the scary side. It’s better than you might think just by looking at it. 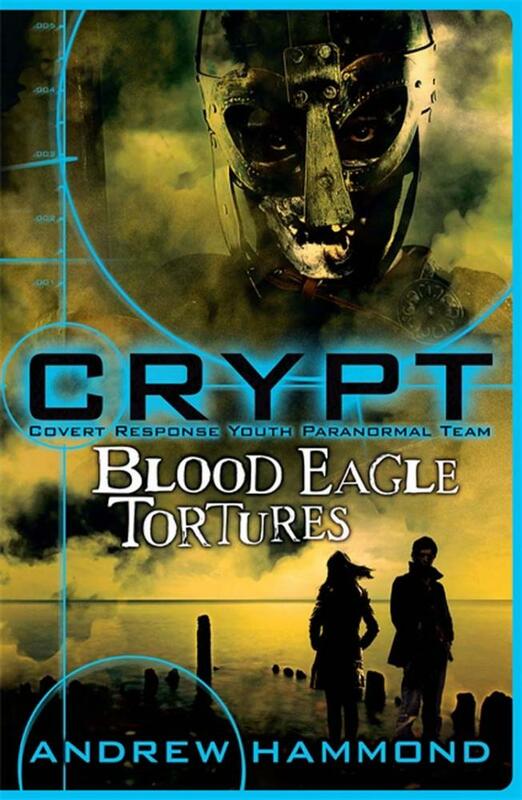 CRYPT stands for Covert Response Youth Paranormal Team. This team is affiliated with MI5 and are the people called in when a crime is committed and police are at a loss. It is their job to figure out if something paranormal is going on and if so what it is and how to stop it. 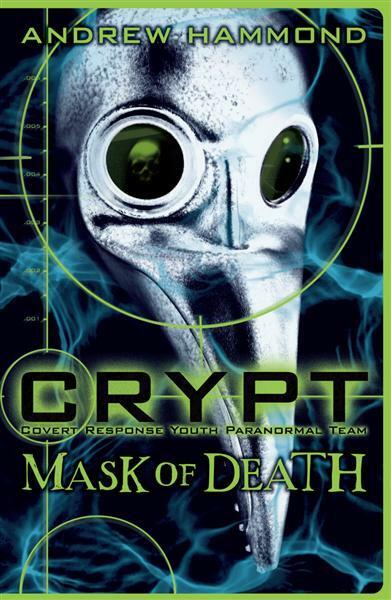 Jud Lester is CRYPT’s star agent, also one of their liabilities, for Jud has a secret past. This new case is a big one, a 17th century highwayman wreaks havoc on the underground, the police have no idea what to make of it. Then people go missing and yet others are viciously attacked. The thing these attacks all have in common is that all the culprits appear to be from the 17 century. Jud is unwillingly paired with new recruit Bex and together they have to work out what has caused these dangerous spirits to return to London’s streets. More to the point can they find out how to prevent the violence escalating, or stop it all together. After a very brief history of the CRYPT organisation this book throws you right into the gruesome action and I do mean gruesome, some of the descriptions are quite graphic. The story itself is tight and entertaining, with just enough layers to provide a good number of twists. Jud is a troubled young man with plenty of issues, this is what makes him something of a liability but also makes him interesting. Bex is a solid counterpart to him, tough enough to stand on her own two feet and stubborn enough to go out on her own if she feels it’s the right thing to do. This is a fun ghost-busting read. The story behind the ghosts mixed in with a modern corruption keeps you interested. This is full of action, moves at a brisk pace and will be enjoyed by readers of other action fueled young adult series.